Today is my best friend, Amy's birthday!!! I remember eight years ago when we met. We became fast friends from the beginning. 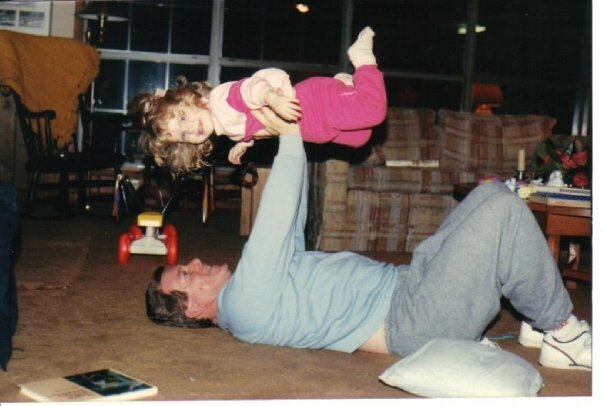 The picture above is of us while we taught Sunday School together at church! So fun! Here are Russell and I with Amy and Tony on their wedding day five years ago! Happy Anniversary tomorrow too, by the way! :) What a great day that was! What a beautiful bridesmaid you were in my wedding! Russell knew Bro. 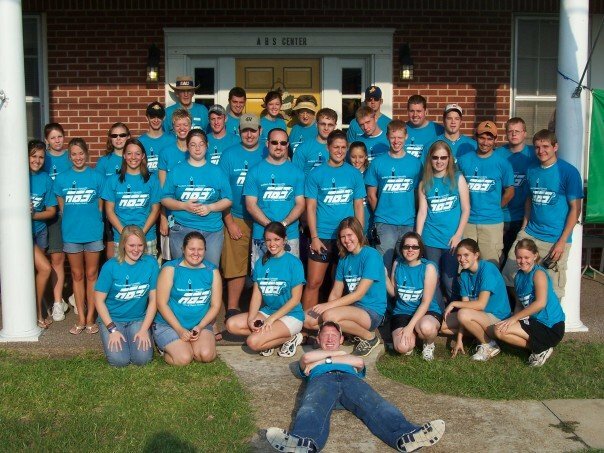 Bob through an organization called the ABS (Association of Baptist Students), at SAU and from church as well. Bro. Bob was such an awesome mentor for Russell from the day Russell started going to the ABS. I met Bro. Bob when Russell and I started dating back in 2005. I knew he was very special from the day I met him. I attended SAU starting that August and attended the ABS as well. Bro. 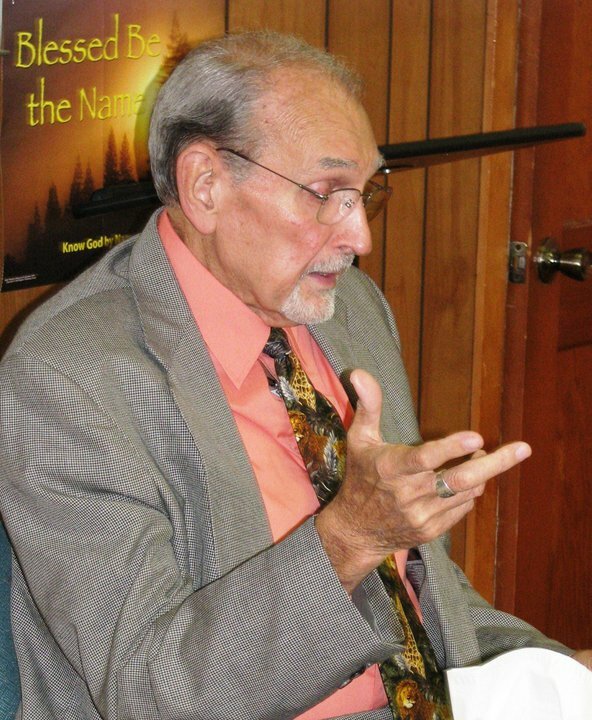 Bob served in the student ministry for about 36 years, I believe. Here's some of the "ABS Bunch" one of the years Russell was in college. I only attended SAU one year. 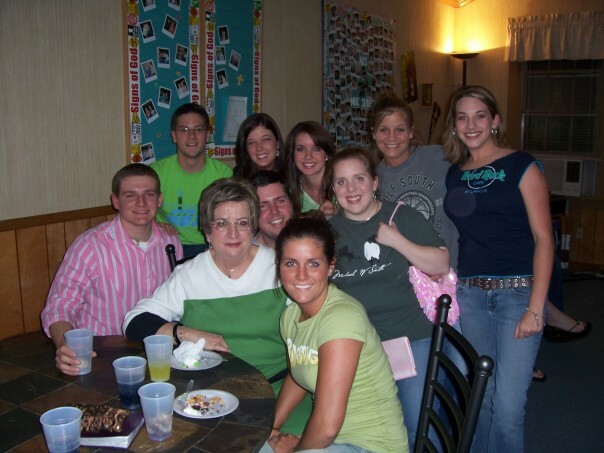 Every Tuesday night, the ABS would have TNT (Tuesday Nights Together) and all us college students met at the center. Bro. Bob would always share a very inspirational message every week. Every Wednesday night, ABS had L.I.G.H.T and M.I.G.H.T. (Ladies in Gods Holy Truth and Men in Gods Holy Truth). 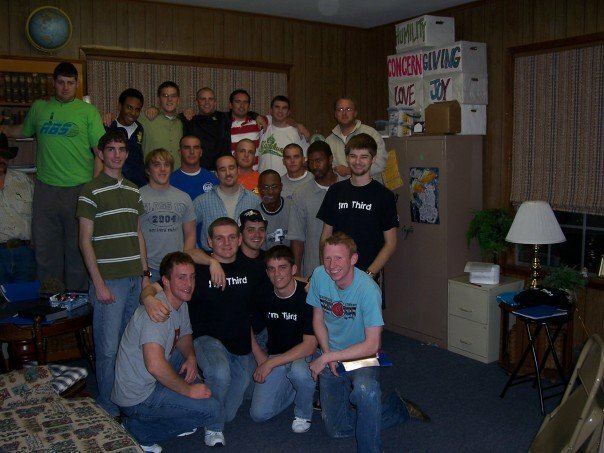 The guys would meet in one room and girls in another and Ms. Amy Covington (Bro. Bob's daughter), would lead the girls and of course Bro. Bob led the guys. We were taught many biblical truths and our faith grew in many ways. Here are Russell and I during an event at ABS--Puttin' On the Ritz! It was a special way to commemorate all the ABS leaders and seniors for that year. So fun. Last but not least, here's a sweet pic of a few of us ABSers with "Mama Crank". She is the one on the front in the middle. Such a precious lady. I just wanted to share my heart about Bro. Bob today and a little about the ABS at SAU. 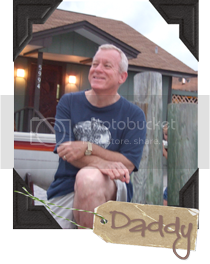 We will always carry so many memories of him and our college ABS memories with us forever. To all the SAU ABS RIDERS out there: Remember these things? "I'm Third", TNT, MIGHT, LIGHT, Cactus Pete, Talent Shows, Puttin on the Ritz, ABS Mug Shots on the bulletin board, Girls Nights Out, Hay Rides, Coca-Cola, Prayer Closet, Travel Team, Thanksgiving meals, Christmas caroling, Leadership conferences, Branson, friendships made, studying countless hours at ABS (I know that's so true for Russell), and SOO many others I may be leaving out. "When we all get to heaven, what a day of rejoicing that will be. When we all see Jesus we'll sing and shout the victory!" 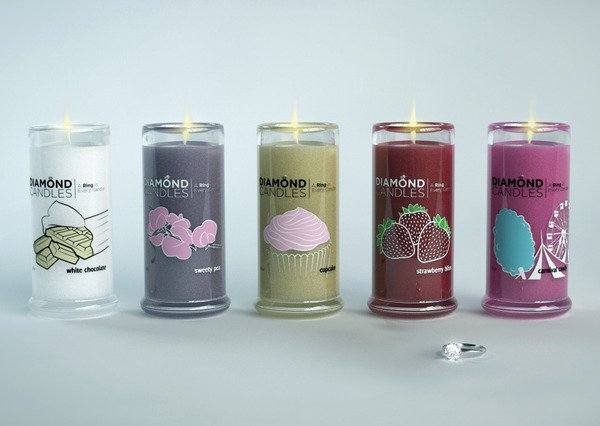 Have y'all heard of these new Diamond Candles? I can't wait to try them soon. First of all, they are soy candles so they burn really clean and evenly. I have heard many raving reviews about these candles. But the best part? Each candle has a ring inside!! Yes, you heard me right! They say that the ring can be worth anywhere from $10 to $5000!!! I know it sounds too good to be true to get a ring worth $5000, but there's always a chance when you buy a candle, right? I loooove children. Therefore, I love children's books. And who doesn't love The Pioneer Woman? 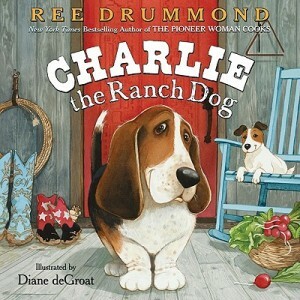 She wrote this book, "Charlie the Ranch Dog" and it hit the bookstores in May. It is such a cute book and I recommend it to any child from ages 3 to 8. Have y'all heard of Pinterest? It is my new addiction. Basically, you can create your own account and then post all the things that interest you on your page. You can also share it with friends and see what they are interested in from decorating, to birthday parties, to favorite movies you may want to share. It's really up to you! 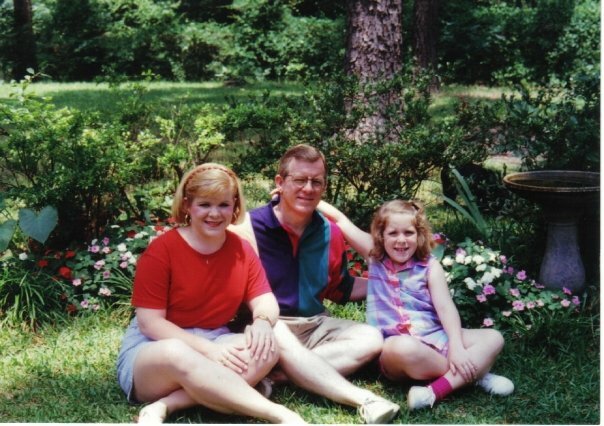 Around South Arkansas, we love lots of things in the summer. We love swimming, laying out to tan in the sun, (not me--I would BURN to a crisp! ), and make fried green tomatoes! This is just our southern way, y'all. I decided today was the day to make them for dinner. I also made squash casserole, which is another southern staple. If I had time I would have made sour cream cornbread, but I just made these two things. It was my first time to ever make them too. 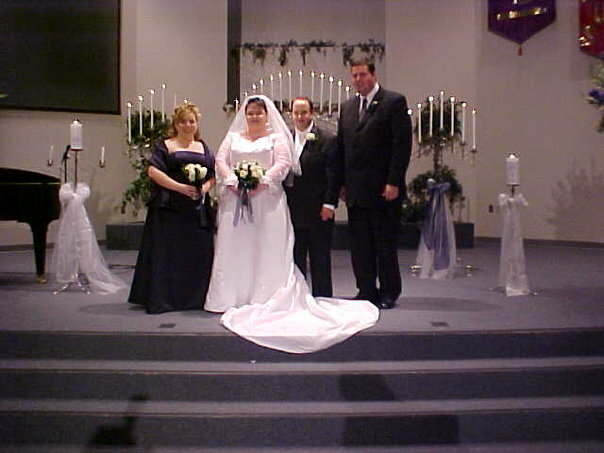 Here are the flowers that were used for the brief ceremony and then reception. Like mother, like daughter! I have always thought Lauren favored Kelly so much. This picture shows that I think. Soo pretty! Sisters! Can I just say again how much I adore my sister? She is the absolute best. Here we are with our Mama! Two candles were lit; one in memory of Daddy, and one in memory of B.A's late wife. Mama wanted Kelly and I to sing a duet entitled, "Together". 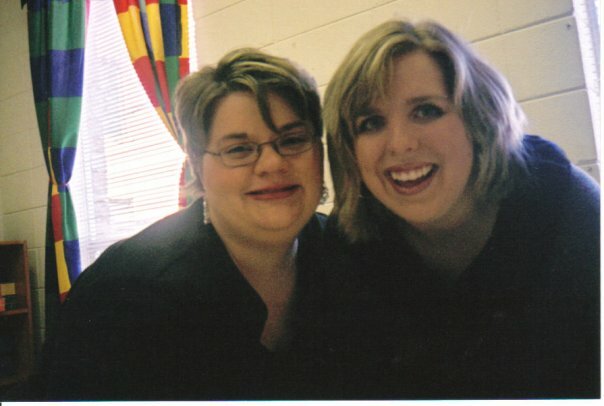 I loved singing with Kelly and hope to sing with her again soon! However, a funny fact that we both laughed at was the last duet we sang together was "Little Cabin in the Wood" when I was 3 or 4 years old! 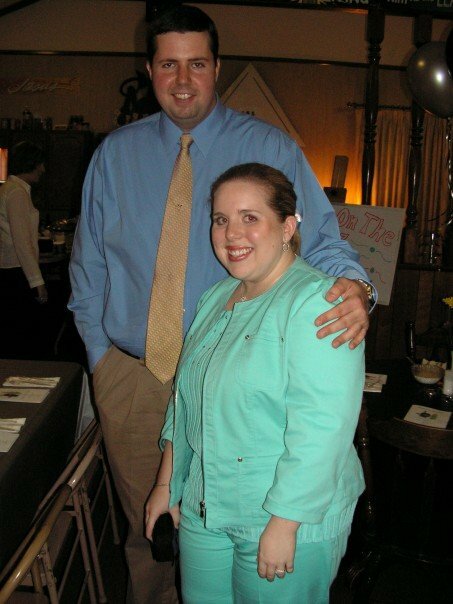 Maybe we won't wait more than twenty years for our next one, Kelly! HA! 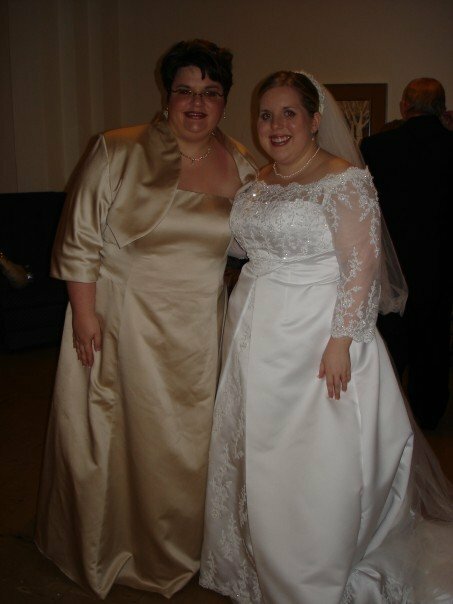 My sweet cousins, Ann Marie and Jennifer. And here's the youngest guest at the wedding, Callen. What a sweet newborn baby!!! And here's two very precious girls, Emily and Sarah Kate! They are definitely a couple of my favorite kids! Summertime is perfect for the things I'm talking about today. 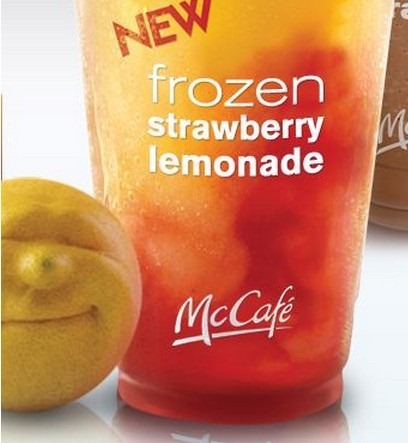 First of all, I thought I would share my first favorite thing and that would be.....get ready....Sonic Cranberry Slushes! They are my newest addiction! HA! Go get one and don't walk--run to Sonic! You won't regret it! 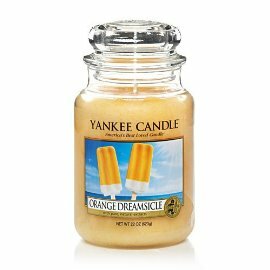 My second favorite thing for this Summer is our Orange Dreamsicle candle. It smells like pure Summertime heaven, y'all! It fills the room with such a yummy smell! Next is nail polish for Summer. My favorite color is not a new color, but I love it anyway. 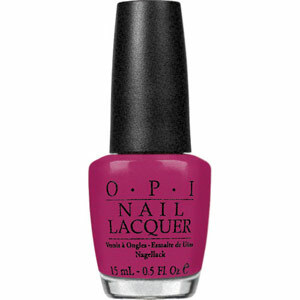 It is Dim Sum Plum by OPI. Last year, I went to a birthday party and found out that Kelly, my sister, her friend, Claudia, and I all had on this same color! I still adore it! I recently bought this adorable picnic basket from walmart on sale for seven dollars! It is inspiring me to have a picnic by the lake with Russell sometime really soon! 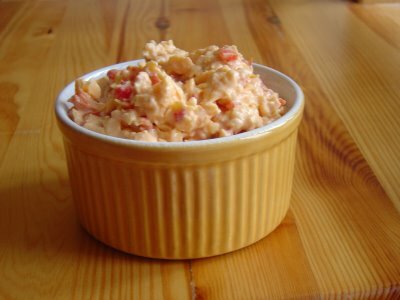 What is a picnic without my Daddy's recipe of homemade pimento cheese? I remember anytime our family would go to the beach, we would stop for a picnic on the way. 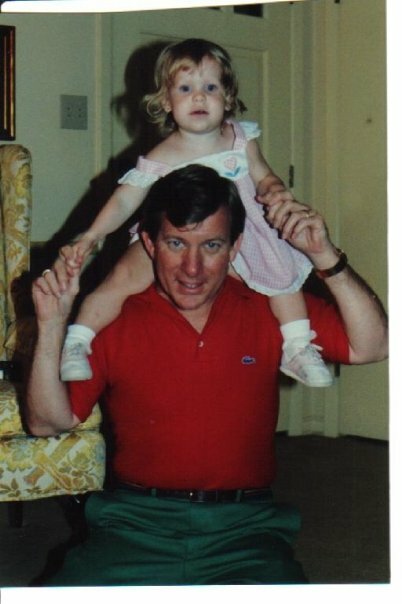 The night before we left, I always enjoyed helping Daddy make pimento cheese! Did y'all watch The Today Show this morning? Today was Meredith Vieira's last day on the Today Show. Her co-workers sent her off well! The whole crew from the show made a live video of all of them running along with Meredith while lip syncing to "Don't Stop Believing". It was so funny, sweet and sad all at once.